Do you like to wear your own designed T-shirts? Now your at right place..
We will print all type of T-shirt printing and make T-shirts as your taste. We are specialized in jersey printing sublimation printing. Promotional T-shirts, Event T-shirts much more categories we have. We have a big collection of custom made corporate gift also. 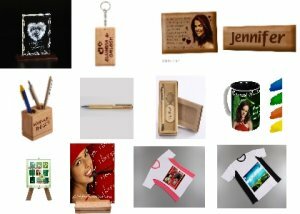 Gift 3 D Crystals, Desktop Accesories, Caps, Compressed T shirts, Gift Sets, Key Ring, Name Plates, Gift Pens, Photo Mug, Gift Tiles, Wooden Plaques, Logo caption printed Umbrellas, Logo caption printed Diaries and more.